Representing Hong Kong, Alice Lee Giannetta, 34, was crowned Mrs. World 2018 on Dec. 16, Saturday, at the Emperors Palace Center Court in Ekurhuleni, Johannesburg, South Africa besting 34 other candidates. A mother of one, she has been married for two years to Pasquale Giannetta. Both Alice and Pasquale are lawyers. In an interview with Esquire, the former described her husband as the funniest person she knows and someone who can make her laugh until her sides hurt. As the successor of Mrs. World 2017 Giuliana Zevallos of Peru, Alice is the 27th titleholder of the international beauty pageant for married women. Runner-up to the Hong Kong representative was Mrs. Costa Rica Jennifer Miranda while Mrs. Belarus Daria Reut was second runner-up. The Mrs. World 2018 coronation night was hosted by South African singer and television presenter Katlego Maboe and Mrs. World 2007 Diane Hardgrove. During the final question-and-answer portion, Alice mentioned her work as a member of the United Nations Women’s Committee drafting public policy. Born in Taiwan, the newly crowned Mrs. World 2018 was eight years old when her family immigrated to the United States. In an interview with NBC News, she revealed that growing up, she was a witness to her parents’ struggle. While serving as a full-time litigation attorney in New York, Alice also works as a Wilhelmina New York model. 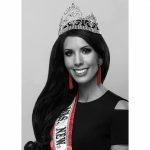 In August, she represented New York in Mrs. America 2018.